The Dalton Two Way Tilt Electric Recliner coordinates with the Dalton Patient Seating Range provides an easy to use single action recliner suitable for healthcare and hospital environments including wards, waiting areas and patient rooms. 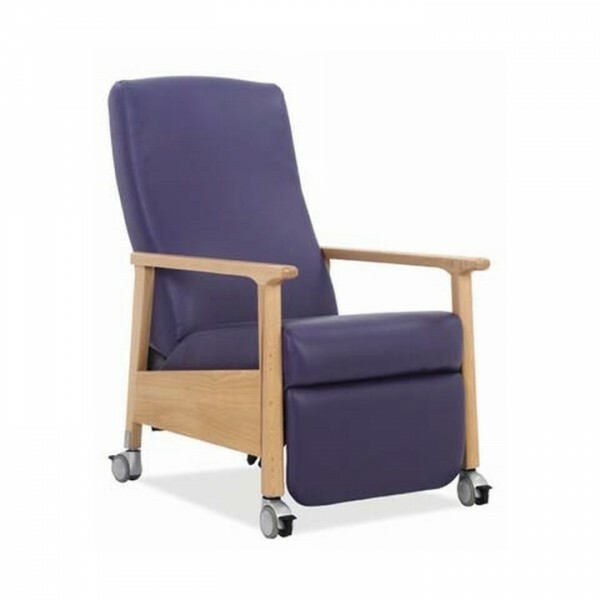 Designed specifcally for healthcare envronment the recliner features minimised stitching details located in non contact areas as well as an ergonomically designed backrest to provide excellent lumbar support and increased comfort with hand grips for easy patient rising. The complete Dalton range of patient seating and hospital chairs provides a range of mid back charis, high back chairs, containment back chairs and bariatric chairs ideal for both healthcare and residential environments.